Why Should a Cure and Seal be Used on Your Next Fresh Pour? Weather, traffic, and chemical abrasion destroy concrete, especially over time. Repairing or re-pouring concrete walkways, driveways, docks, decks, patios, and other surfaces can be expensive. 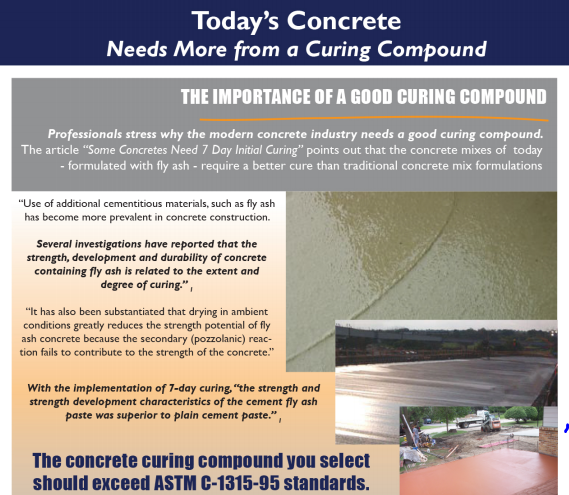 Proper curing and sealing increase the lifespan of freshly-poured concrete, reducing maintenance costs, long-term. If you knew a simple and cost-effective way to increase the strength of your next fresh concrete pour, would you consider it? Cure and seal enhance the entire slab’s hardness matrix, protecting the fresh pour from initial damage and increasing durability, long-term. Many factors go into achieving concrete durability. The material must be mixed properly. The slab must have adequate time to cure. It must be protected from the elements while curing. And adequate hydration must be maintained to drive this process. Learn which cure and seal are right for your next fresh concrete pour. Why should a cure and seal be used? When properly applied, cure and seal products produce a protective liquid membrane. This compound shields the top of the fresh pour while retaining the proper amount of moisture throughout the entire slab. The concrete cures much harder, and the surface is protected longer. Concrete treated with cure and seal is more resistant to freezing and thawing. And the surface is less porous, protecting the slab from environmental factors such as water, salt, oil, and other destructive or abrasive substances. What is Concrete Cure and Seals Optimal Use? For each of these applications, cure and seal should be applied as soon as possible, based on product specifications. Because cure and seal is a liquid product that can be easily sprayed on a new slab, this long-term concrete protection is simple, quick, and cost-effective. Some sealing products dissipate soon after application, leaving the slab vulnerable to damaging elements. Cure and seal are semi-permanent, offering much more effective protection over time. And, because the cure and seal membrane allows vapor — but not moisture — to escape, there is minimal risk of blistering or adhesion loss. Every concrete cure and seal brand promises protection against wear, cracking, and fading caused by heavy use, chemical abrasion, and weather damage. TK Products has invested the last 60 years manufacturing specialized solutions to specific concrete durability challenges. Review TK Products’ extensive line of concrete cure and seal products. Today, TK Products offers more than 15 signature cure and seal products, each designed for precise applications and certain environments, and to meet VOC requirements. These products have stood the test of time, increasing the lifespan of both residential and commercial concrete surfaces. If you want your next concrete pour to cure harder and last longer, apply easy-to-use and proven-effective cure and seal. 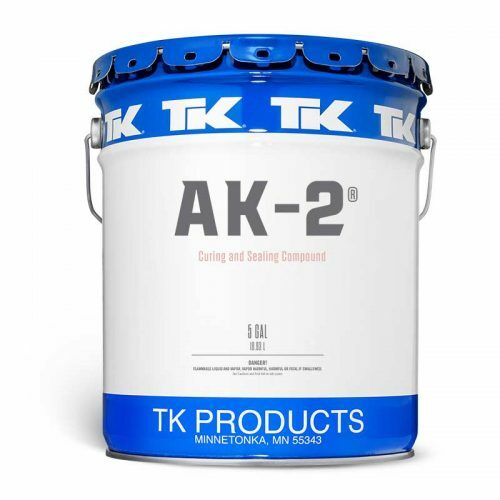 And, if you want the best cure and seal for your specific project, choose TK Products Cure and Seal.